I stumbled on the Golden Baobab Prize a while ago but it's something I just felt I had to showcase. The Golden Baobab Prize is an annual literary award created for the sole purpose of producing more African literature for children and young adults - pretty cool. I have to say I absolutely love the fact that there are incentives in place to encourage the writing and production of books for younger people. Now in its fourth year, its mission is to discover the next generation of African literary giants, produce classic stories that will stand the test of time and inspire the creation of African stories that children and young adults the world over will love. The prize invites African citizens to submit unpublished stories about Africa to three categories: ages 8-11, ages 12-15, and the Rising Writer Prize for a young author under-18. This year submission deadlines is June 24 and winners will be announced the first week of November. 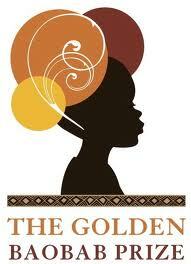 More on the Golden Baobab Prize here and for a list of past winners here. Thank you for the post BookShy!